Dr. Michael L. Thornton is a fellowship-trained, double board certified Cosmetic Surgeon and Diplomate of the American Board of Cosmetic Surgery providing you with an advanced array of surgical procedures in facial cosmetic surgery, cosmetic breast surgery, body contouring surgery and liposuction, post-bariatric after weight loss surgery, and non-surgical aesthetic skin rejuvenation from our medical spa. After growing up in Frisco, Texas, Dr. Michael Thornton received his premedical Bachelor’s degree from Baylor University and received his Medical degree from the UNT Health Science Center in Fort Worth. He completed a comprehensive five-year residency in General Surgery through Michigan State University affiliated hospitals at McLaren Macomb Medical Center in Mount Clemens, Michigan, and furthermore completed a one-year fellowship in Surgical Critical Care and Trauma Surgery at internationally recognized R Adams Cowley Shock Trauma Center at the University of Maryland Medical Center in Baltimore, where he acquired extensive knowledge in the management and reconstruction of complex traumatic injuries. Following his creative passion, Dr. Michael Thornton furthered his surgical expertise by completing an additional, one-year advanced fellowship in Cosmetic Surgery, accredited and recognized by the American Academy of Cosmetic Surgery, where he gained concentrated knowledge in all major areas of aesthetic and cosmetic plastic surgery including facial plastic surgery, rhinoplasty, cosmetic breast surgery, liposuction, buttock and body contouring surgery, non-surgical aesthetics, skin care rejuvenation, and cosmetic laser medicine. Dr. Michael Thornton is a double board certified cosmetic surgeon and Diplomate of the American Board of Cosmetic Surgery (ABCS), which is the only written and oral American certifying board that tests patient safety, general knowledge, and surgical experience exclusively in the field of Cosmetic Surgery, and he currently serves as an oral board examiner and member of the Board of Trustees for the ABCS. In addition, he remains board certified by the American Osteopathic Board of Surgery in both General Surgery and Surgical Critical Care / Trauma Surgery. Because of Dr. Michael Thornton’s surgical dedication, he has been bestowed two esteemed honors as both Fellow in the American College of Osteopathic Surgeons (FACOS) and Fellow in the American Academy of Cosmetic Surgery (FAACS). 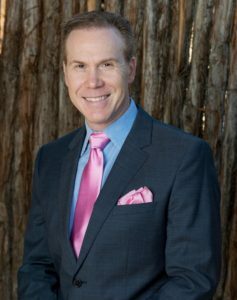 In addition, he has 20-years of combined surgical training and operative experience and has been named “Top Doc” in Fort Worth, Texas Magazine in the specialty of Cosmetic Surgery. Dr. Thornton has gained a reputation for performing revision cosmetic surgery including difficult breast revision surgery, abdominoplasty revision and liposuction revision and is happy to provide a complimentary consultation to better assist your needs. 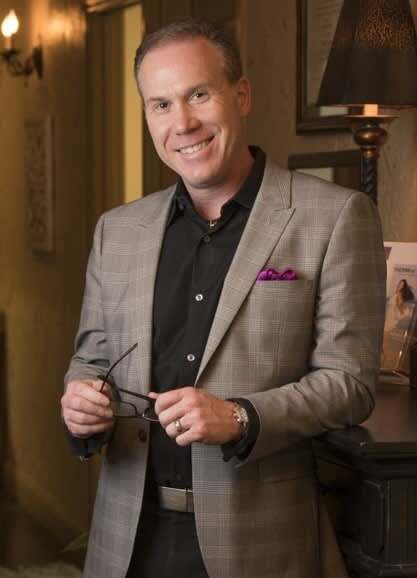 Dr. Thornton is consistently named “SuperDoc” for the past 6 years in addition to being selected as Reader’s Choice “Best Cosmetic Surgeon” for the past three years in Living Magazine Arlington & Mansfield for 2016, 2017, and 2018. In addition to the practice of cosmetic plastic surgery, Dr. Thornton also performs hernia repair surgery, minimally invasive laparoscopic surgery and various general surgery procedures his patients may encounter. He has served as both past Chief of the General Surgery Section and Vice Chairman of the Department of Surgery at Methodist Mansfield Medical Center. Dr. Thornton enjoys spending time with his wife, Raquel, and his hobbies include traveling, website development, playing piano, and supporting the Baylor University football program. We realize that patient safety while undergoing surgery is of utmost importance. Therefore, all cosmetic surgery procedures requiring general anesthesia are performed at Baylor Surgicare at Mansfield, a JCAHO (Joint Commission) accredited and AAAHC certified out-patient surgical center, located a few miles from our office. Furthermore, all surgeries are monitored by board-certified anesthesiologists and anesthesia providers. However, minor cosmetic surgery procedures requiring local anesthesia may be performed in our own private procedure room. In addition, Dr. Thornton has full cosmetic plastic surgery privileges at Medical City Arlington to better serve his Arlington clients or in the event your procedure may require an over-night hospital stay. Dr. Thornton is a talented and compassionate cosmetic surgeon and his philosophy is for you to achieve a natural and imperceptible result that focuses on your specific goals, while carefully attempting to minimize any scars. He believes your cosmetic surgery is only successful when you are happy and pleased!